Poignant yet blisteringly entertaining, I, Tonya unapologetically celebrates one of sport’s most controversial figures. 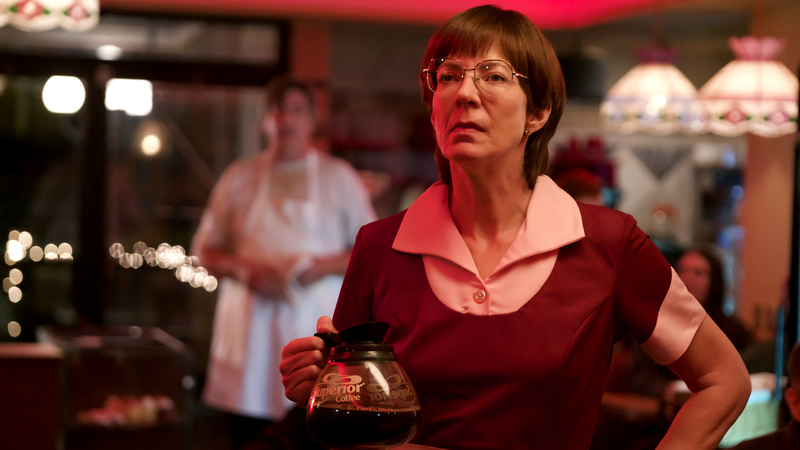 We’re introduced to four-year-old Tonya (Maizie Smith) being pushed into skating by her abusive mother LaVona Golden (Allison Janney). Who forcibly persuades coach Diane Rawlinson (Julianne Nicholson) into training her. LaVona remains volatile towards Tonya and proceeds to take her growing daughter (now played by Mckenna Grace) out of school to focus on her sport. 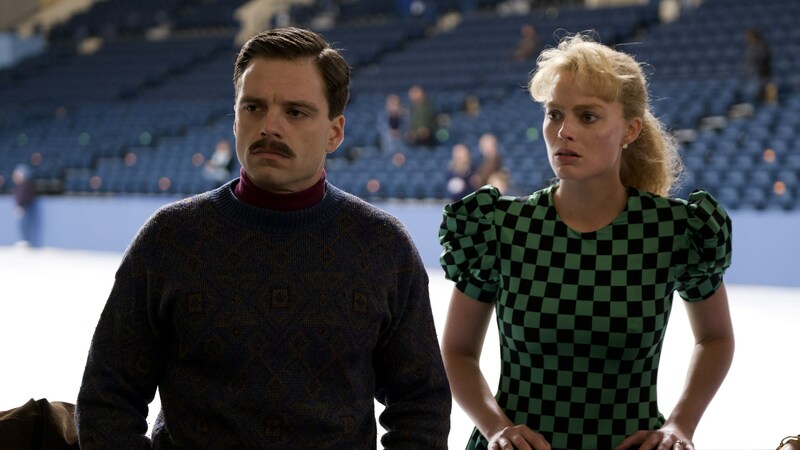 As a teenager (and played by Margot Robbie), Tonya escapes her mother’s clutches as she falls for and marries Jeff Gillooly (Sebastian Stan). In its infancy, their relationship is genuinely sweet but soon enough Tonya is once again left bruised, with violence a sad state of normality for her since childhood. Rapidly becoming a fierce competitor, Tonya finds herself penalised by judges because of her coarse appearance, home-made costumes and poor upbringing. Despite being the first American woman to successfully land a triple axel in competition. The film then focuses on the infamous 1994 attack on Tonya’s skating rival Nancy Kerrigan (Caitlin Carver), which was orchestrated by her then ex-husband Jeff and bodyguard Shawn Eckhardt (Paul Walter Hauser). Director Craig Gillespie examines Tonya’s involvement (or lack of) in the assault, subsequent judgment and the media frenzy fallout that followed with a surprising amount of sobering authority. As her life is publicly pulled apart, we witness the through-line of abuse throughout Tonya’s life, at the hands of her mother, lover and the press. All the while reminding us that despite what unfolded, Tonya had raw talent and was denied her spot at the top long before “the incident”. Due to America’s view of wholesome family imagery and the actual stark realities of poverty. That’s not to say Gillespie and writer Steven Rogers don’t revel in the absurdity of this tale. Bleak humour courses throughout the movie with Coen-style characters that are well and truly out of their depth. There’s also fun to be had with the film’s structure. A bizarre mixture of reflective mockumentary interviews and fourth wall breaks run alongside the film’s central story. Accompanied by Goodfellas-esque narration and a ridiculously catchy soundtrack that captures the era. Including songs such as ZZ Top’s Sleeping Bag, which the real Harding (much to competition judges’ chagrin) chose to use in her routines. As Tonya, Robbie finally lands a role with enough depth to match her talent, disappearing into a character that becomes an unlikely heroine. Regardless of possible skewed facts, it’s heartbreaking to watch a gifted performer, who was playing a rigged game from the offset, fall to pieces as she grimaces through tears. Viciously applying vivid make-up and forcing a fraudulent smile on her face, she resembles a warped clown. Ready to entertain her audience until her tricks no longer work and they move on to their next celebrity shambles. As her mother who spotted that gift, Janney’s LaVona is part hilarious, part monstrous. With all the money she earns waitressing going towards Tonya’s skating (a fact she frequently reminds her daughter of) and knowing her goading will produce the best performance. There’s a minuscule hint of affection lurking beneath LaVona’s cigarette smoke, but ultimately her behaviour is inexcusable and you’re left feeling duped whenever anything remotely motherly escapes her. While the ladies steal the show, Stan steps out of stern winter soldier mode and excels as feckless Jeff. Along with Hauser who plays infuriatingly idiotic Shawn with comical results. It’s worth sticking around for the end credits to see how closely the cast resemble their real-life counterparts. Somehow the multiple moving parts of unconventional biopic I, Tonya bind together, creating a worthy platform for the immensely talented Margot Robbie in the process.